We are less than five months away of the 2019 ECA Wildwater Canoeing European Championships. 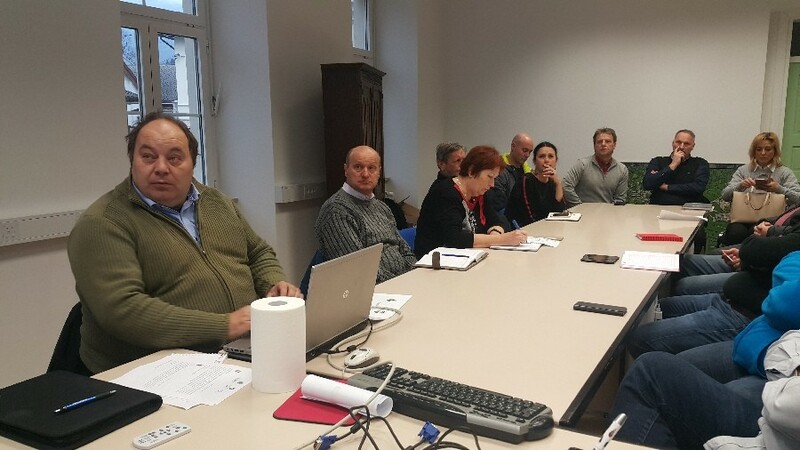 Representatives of Canoe Federation of Slovenia held a meeting with mayors of Bovec and Kobarid to ensure the best possible organisation of the upcoming championships. Bovec and Kobarid are very familiar with canoeing as Soča River is one of the most popular kayaking sites. Six years ago Senior Wildwater Canoeing European Championships was organised in the same venue which expects the best European paddlers also this May. There have been Junior Championships, World Cups and 1991 Wildwater Canoeing World Championships held here too. The championships will start on 14th May with an opening ceremony in Bovec and will conclude on Saturday, 18th May, with a closing ceremony, also in Bovec. Local community plans to organise accompanying programme with evening events as some sort of intro into summer happenings in the Soča Valley. Kids from elementary schools in Bovec and Kobarid will visit and cheer for the athletes during the championships as a part of the school sports field trips, was also decided during the last meeting. As mentioned, the opening ceremony will take place on Tuesday, 14th May, in Bovec. The first competition day will be Wednesday, when paddlers will fight for Individual classic titles. On Thursday classic team events will follow. Friday’s programme will bring heats in sprint events, while on Saturday team and individual sprint finals are scheduled. Masters competition will also be organised on Soča River.